I volunteer with American Red Cross because of its reputation and the services offered. It’s a great organization that allows volunteers to give back to their local communities, to their country, and beyond. Once I obtain my RN license I plan to deploy with health services for future disaster relief operations. I currently have two nursing jobs: A skilled nursing facility as a certified nurse’s assistant and a locked memory care unit as a medical technician. I also attend college part time and will be starting the RN program this winter quarter! 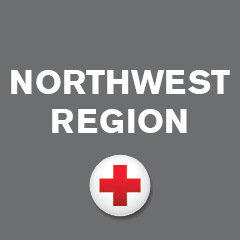 I allocate a variable amount of time each day, as well as a day per week to come into Red Cross HQ in King County. Finding time can be difficult, but it’s always worth it!